Its Tuesday so it must be The Great British Bake off ! Now tonights theme is Sweet dough which is a tough one for me. As well as being intolerant to gluten I also can’t tolerate Yeast. This makes dough making tricky. 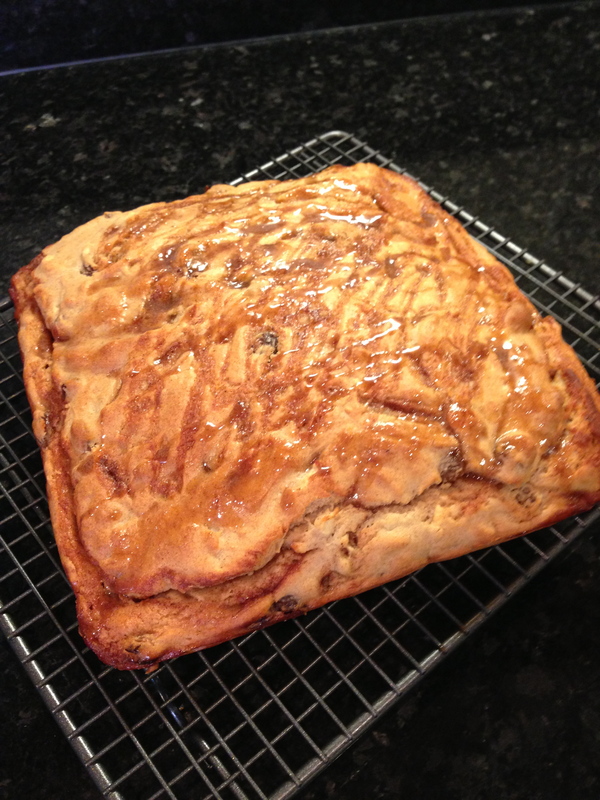 I decided to have a play around with the batter bread recipe on my blog and make a sweet version without using sugar. I just add a little honey. To this I added 3 whisked eggs and a 7 fl oz mix of melted coconut oil ( I used Lucy bee coconut oil ) and milk about half and half. 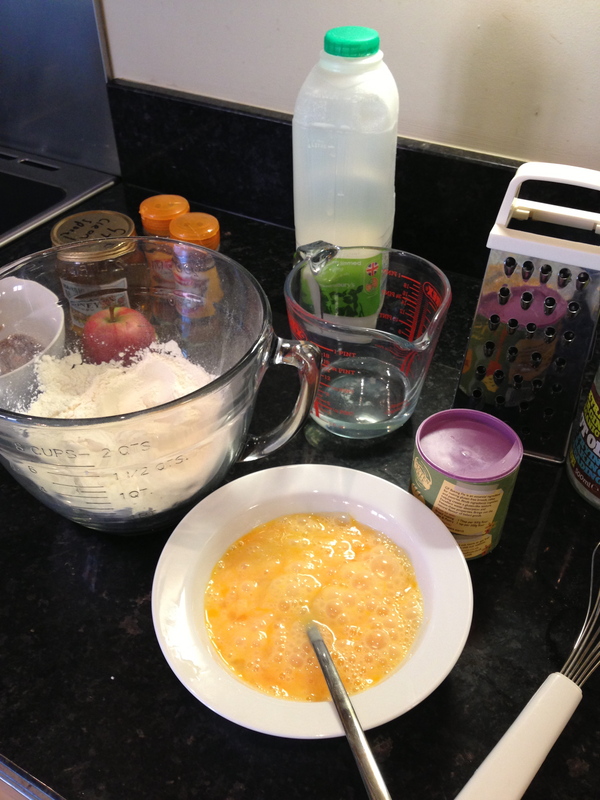 I mixed together the sweet batter with a whisk. 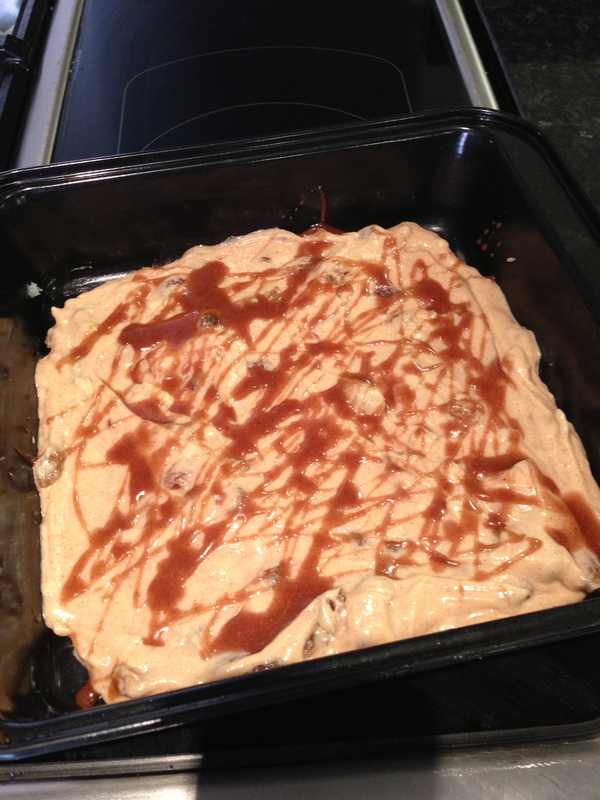 Poured half the batter into a greased baking tray and drizzled a mix of honey and cinnamon and mixed spice all over. Then I spread the rest of the batter on top and added more of the honey spice mix ( 2tsp honey 1/2 tsp cinnamon and a sprinkle of mixed spice) you can play around with this mix and add what you like. 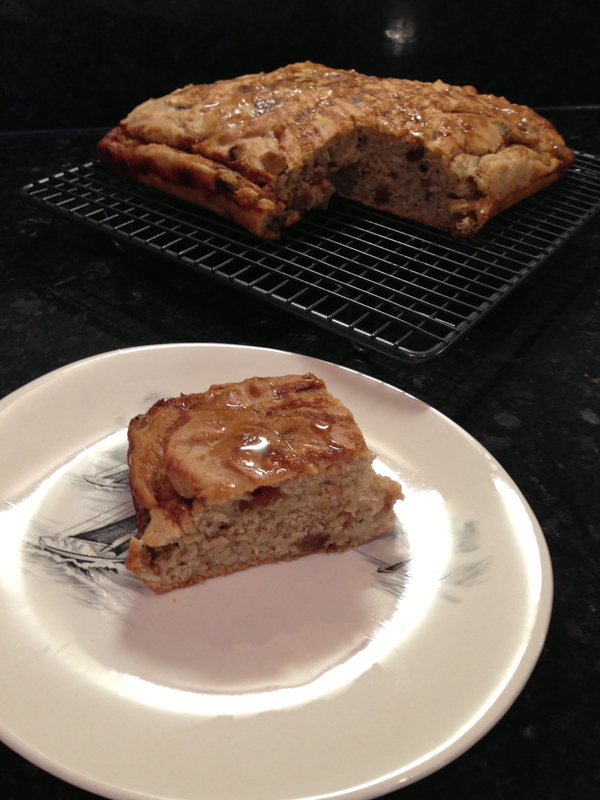 Once of the wire rack, drizzle on any extra honey and cinnamon that is left. Delicious warm straight out of the oven or cooled with unsalted butter and a little extra honey or jam. It has a lovely bouncy , light texture. 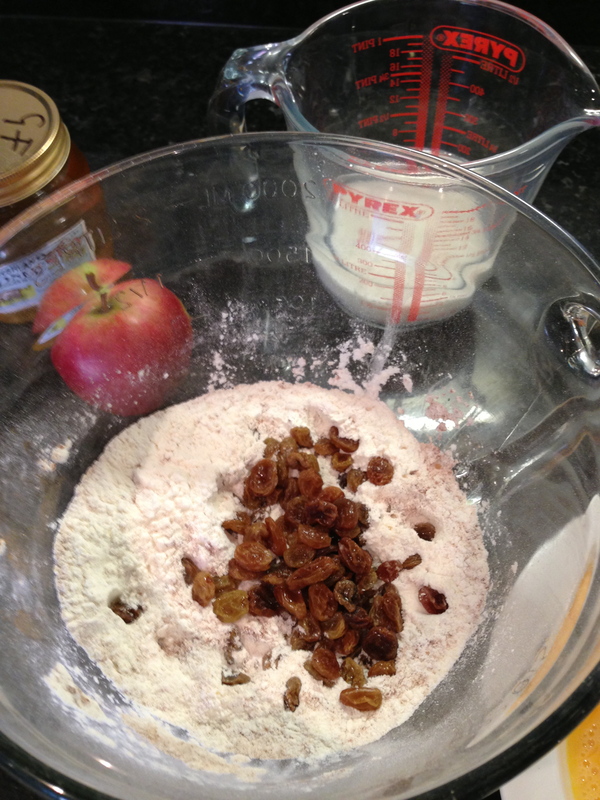 The sultanas add a slight sweetness but this is not an overly sweet bread. You could add a little sugar to the batter mix but I think it is unnecessary. 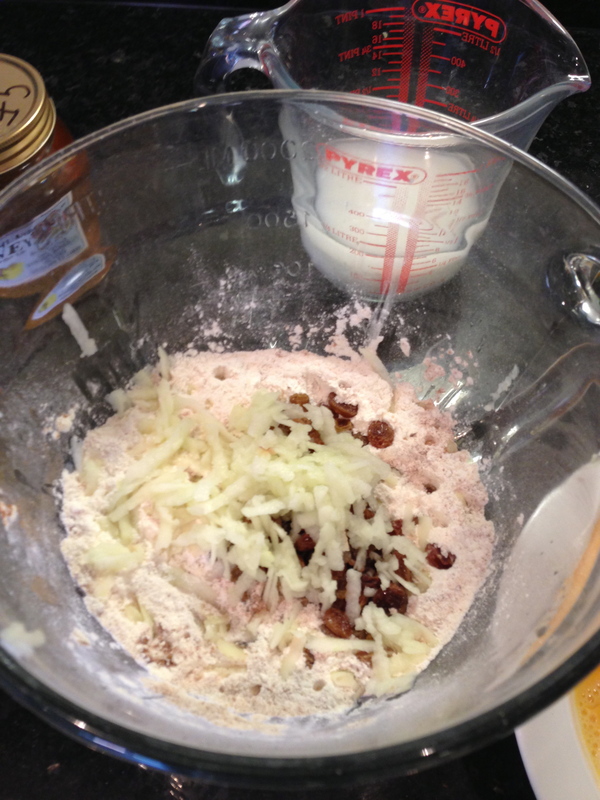 I think I would add more sultanas next time and possibly a little more cinnamon.